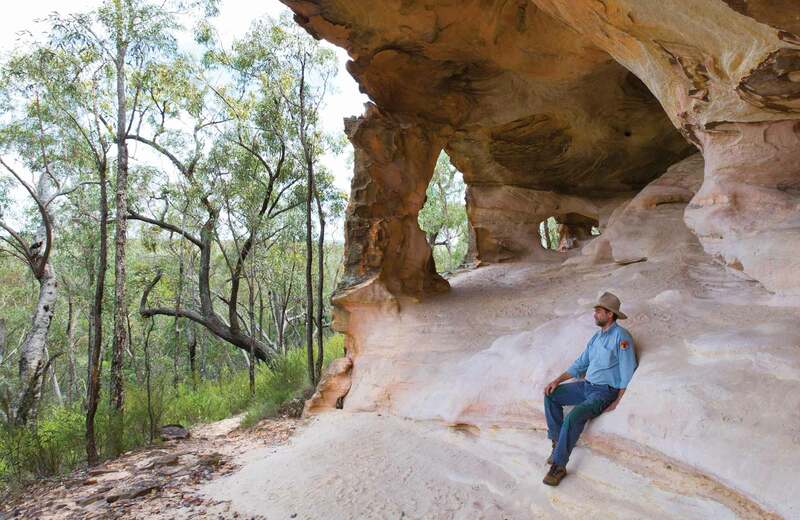 Take a self-guided tour along the Sandstone Caves walking track to see ancient Aboriginal rock art. For more of an insight into Aboriginal history, book a guided tour. 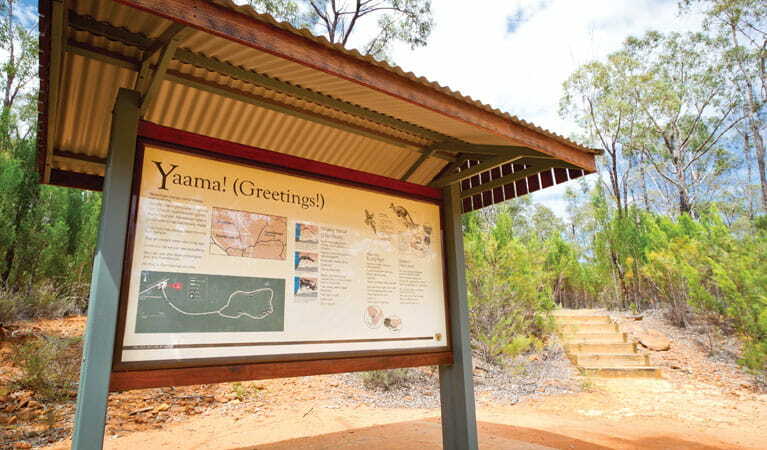 This is a special place for the Gamilaroi people – please be respectful when visiting this site and refrain from touching the rock art and engravings. Photography is permitted, however visitors are requested not to use flash photography. 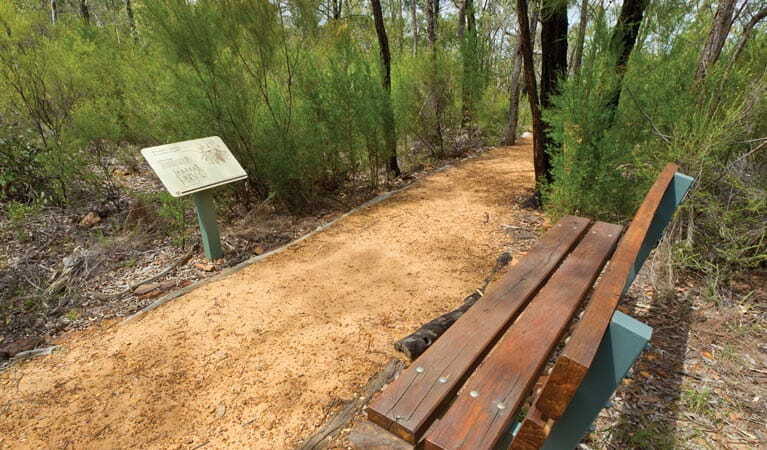 You can book a guided tour at Pilliga Forest Discovery Centre in Baradine. It’s a good idea to check road conditions before setting out – contact Pilliga Forest Discovery Centre for up to date information. 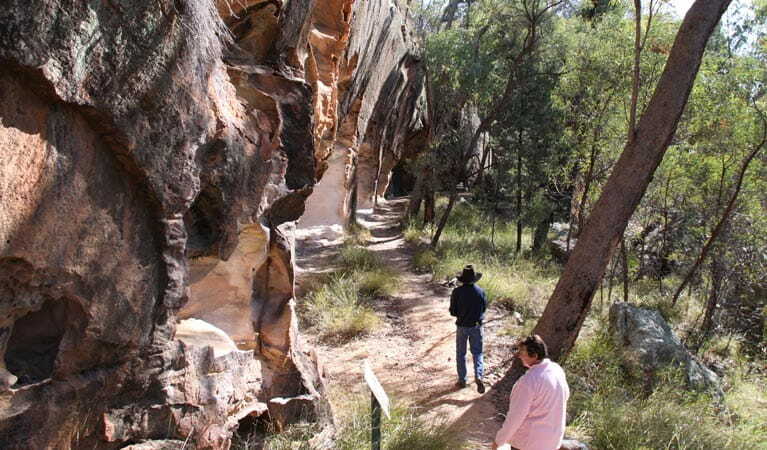 Walk in the footsteps of the Gamilaroi people along the short Sandstone Caves walking track in Pilliga Nature Reserve. You’ll pass through scenic forest to the impressive sandstone hills, with some containing ancient Aboriginal rock engravings. Take some time to read over the interpretive signage for more of an insight into this special place. 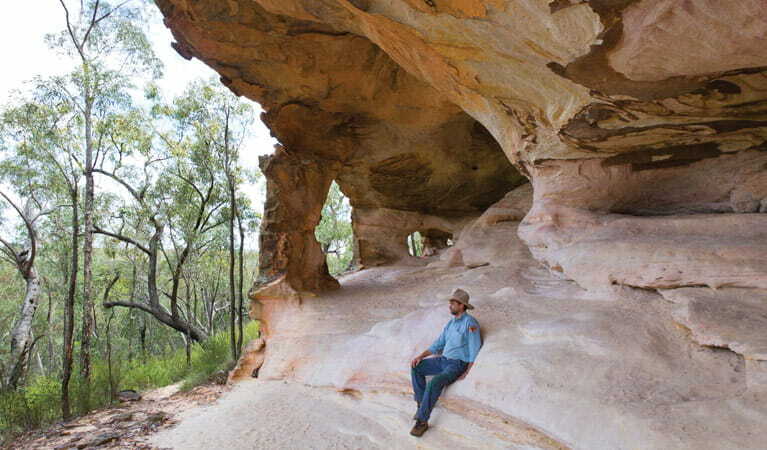 You can take a self-guided walk, however this unique place is best experienced on a guided tour with an Aboriginal Discovery Ranger. You can book your tour at Pilliga Forest Discovery Centre in Baradine.